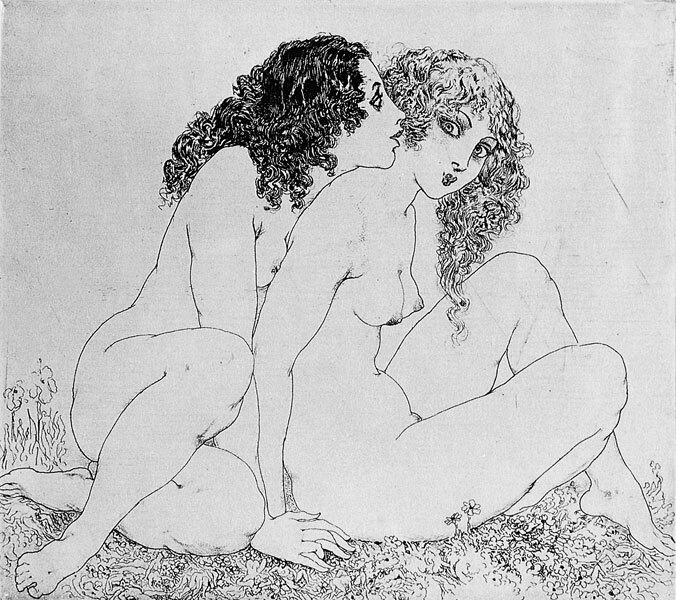 The Facsimile etching print of Norman Lindsay original etching titled Sisters was released in 2000 as a limited edition of 550 only, with the exception of the 6 we have the series is completely sold out. Image is 11.2 x 12.5 cm, the original etching was never published. Reference to the original etching can be found in the book titled Norman Lindsay Etchings: Catalogue Raisonné 2006, cat.102) the original etching was never published. The Book titled Norman Lindsay Etchings: Catalogue Raisonné 2006 is available from Etching House at $152.